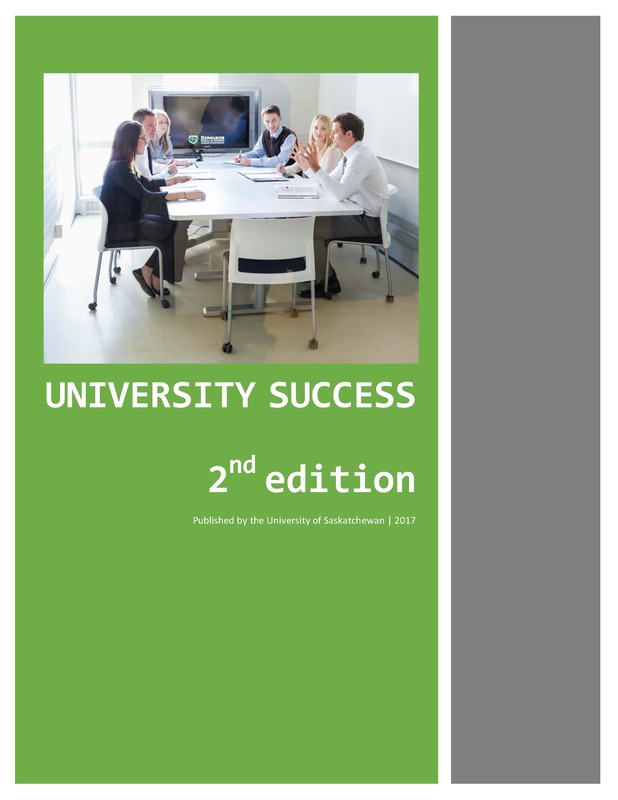 Authors: N. Mahoney, B. Klassen, M. D'Eon, & L. Marken and Mahoney, N., Klassen, B., D'Eon, M., Marken, L.
Book Description: Our primary goal in writing University Success is to help you succeed in university. This is a how-to manual for your first year of study. 1.1 Who Are You, Really? 1.4 What Is University, Really? 3.2 Are You Ready for Class? 3.3 Are You Really Listening? 5.1 Are You Ready for the Big Leagues? 5.2 How Do You Read to Learn? 7.1 Why Attend Classes at All? Chapter 8: Writing in University: It's All About the Process! Our primary goal in adapting University Success from the US-based, University of Minnesota Libraries Publication, College Success textbook is to help you succeed in university. University Success has a student-friendly format arranged to help you develop the essential skills and provide the information you need to succeed in university. This is not a textbook full of theory and extensive detail that merely discusses student success; rather, this is a how-to manual for your first year of study. The book provides realistic, practical guidance ranging from study skills to personal health, from test taking to managing time and money. Furthermore, University Success is accessible—information is presented concisely and as simply as possible. University Success has the following features to help you achieve your goals: Each chapter asks you to evaluate yourself because success starts with recognizing your strengths and weaknesses, your hopes and desires, and your own personal, individual realities. You’ll develop your own goals based on these self-assessments, determining what success in college really means for you as an individual. Throughout the book, you will find numerous interactive activities created to help you improve your skills. To assist you with this, the material is presented in easily digestible “chunks” of information so you can begin applying it immediately in your own life—and get the most out of your university education. Chapter 8: Writing in University: It’s All About the Process! N. Mahoney, B. Klassen, M. D'Eon, & L. Marken and Mahoney, N., Klassen, B., D'Eon, M., Marken, L.
University Success (2nd Edition) by University of Saskatchewan is licensed under a Creative Commons Attribution-NonCommercial-ShareAlike 4.0 International License, except where otherwise noted. Adapted from the University of Minnesota Libraries, College Success open textbook.